No Home Phone.....No Problem ACA Security uses an alarm panel manufactured by DMP (Digital Monitoring Products) with a built in cellular communicator. This enables you to control your alarm system with SMS text messages using your cell phone. 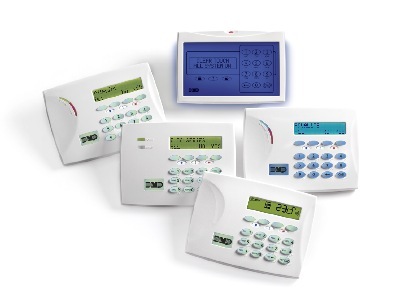 The alarm panel also has built in two way wireless allowing for faster and cleaner installations. The HOME/SLEEP/AWAY feature allows you to protect your family and home depending whether you are in your house, sleeping or not there at all. ACA Security offers a variety of services including intrusion alarm systems, access control, and video surveillance to help protect you and your business. Using a DMP alarm panel with the cabability for multiple means of communication from IP, Cellular, and conventional phone line assures you that the alarm signal gets to our Central Monitoring Center even when the phone lines or internet are down or cut.